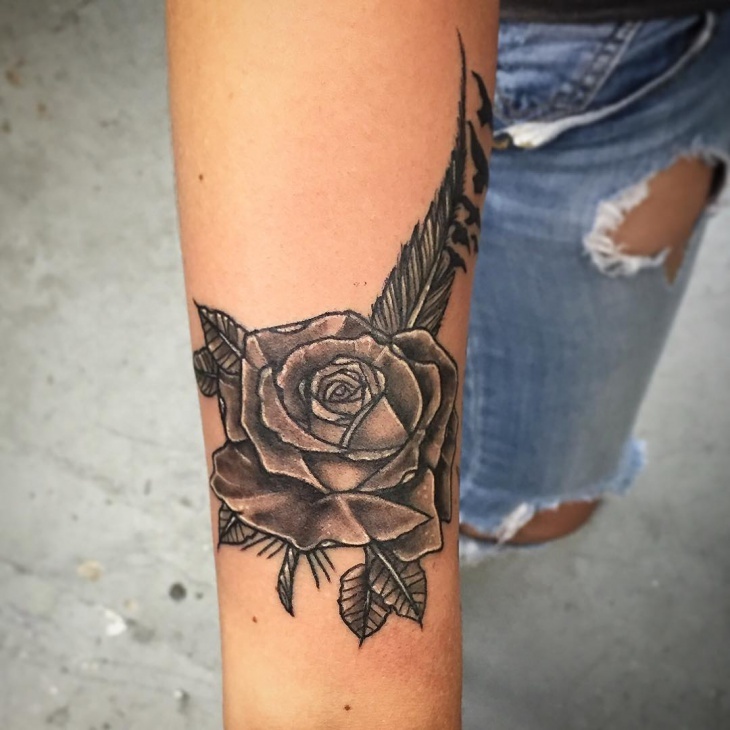 There are symbols for tattoos that are already meaningful even when used alone. 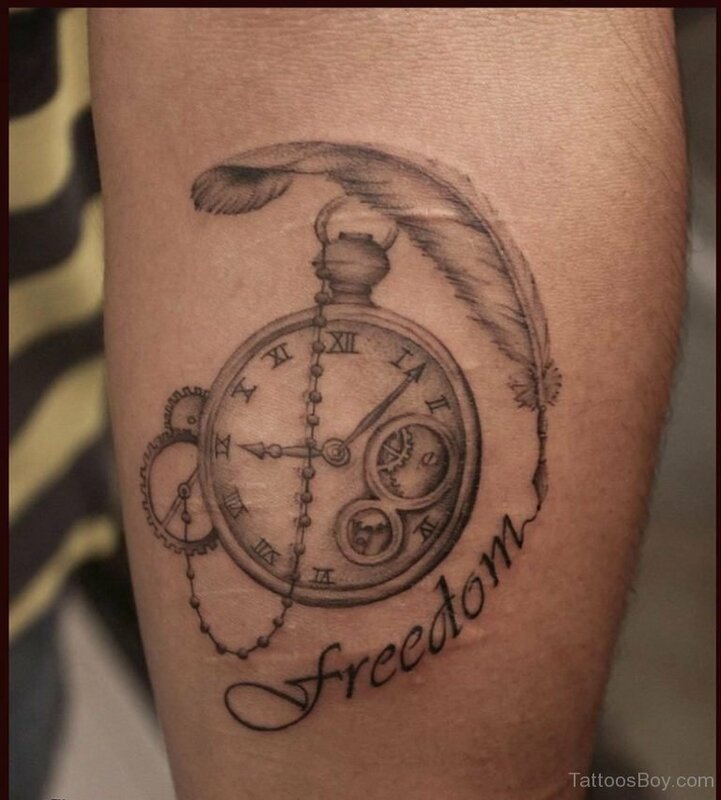 But there are also tattoos that will become even more significant when paired up with other symbols. 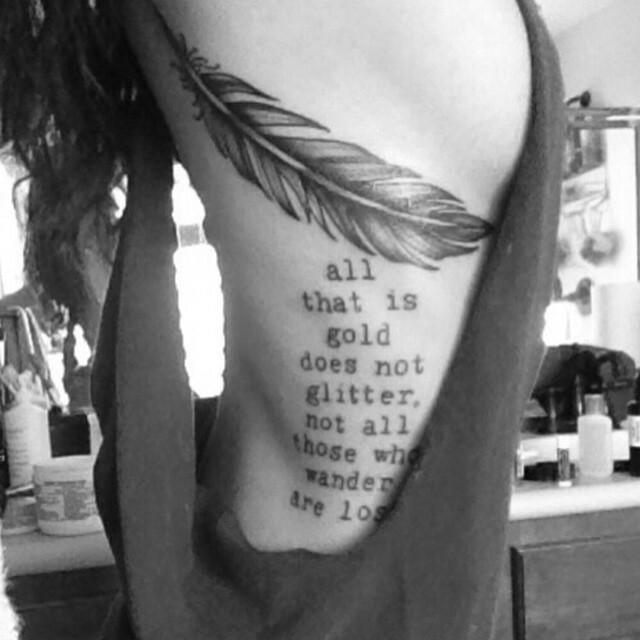 A feather tattoo is one of them. 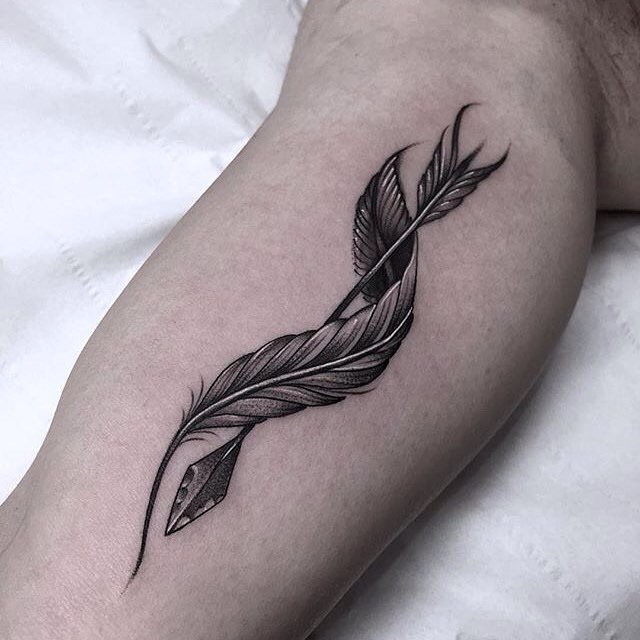 Just like the praying hands tattoos, feather tattoos doesn’t just give you good aesthetics but it can convey a deep meaning as well, especially when you pair it with other symbols. 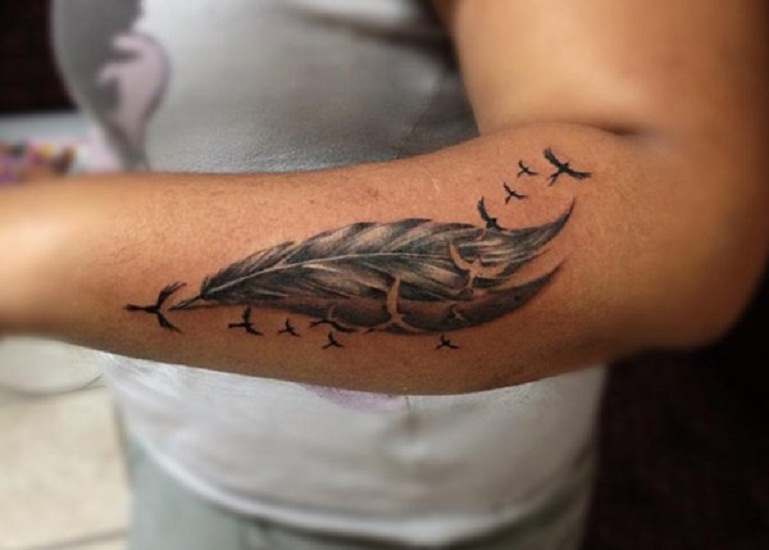 Feathers are one of the symbols that contain so many definitions. From its colors to even to its directions, it can definitely tell a lot of meanings. 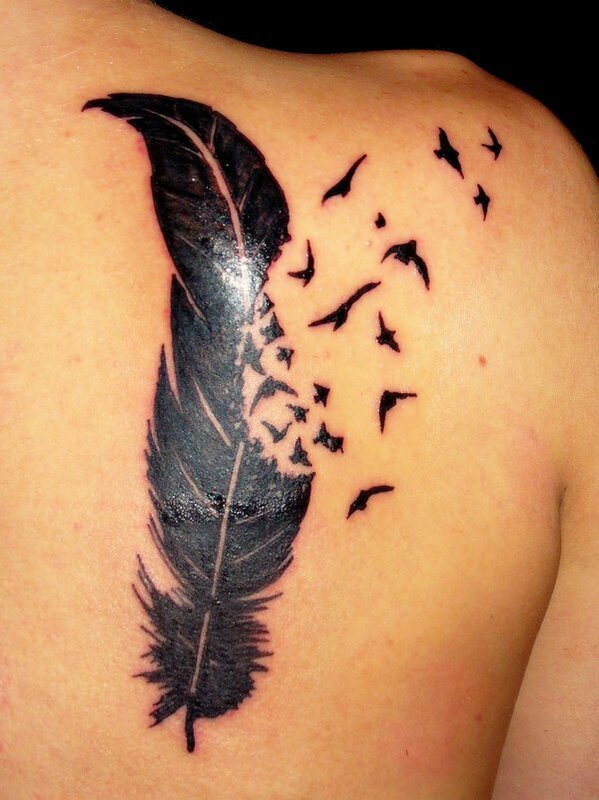 Additionally, different cultures, as well as religions, have their own interpretation on feathers. 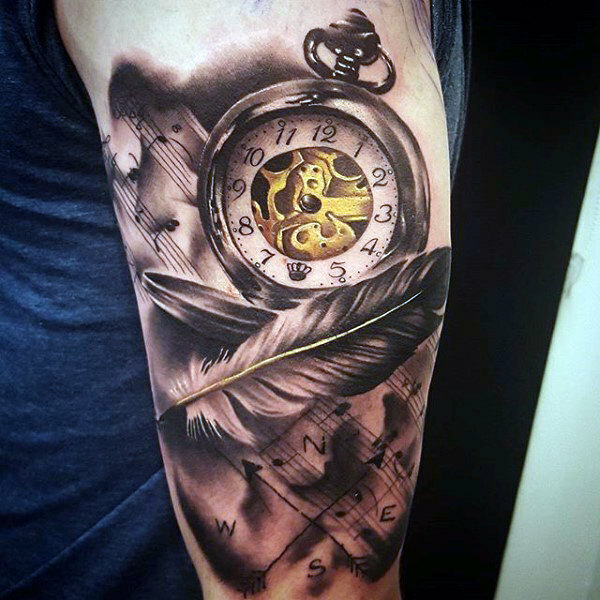 For most religions, they see feathers as a way of communication with spiritual realms. 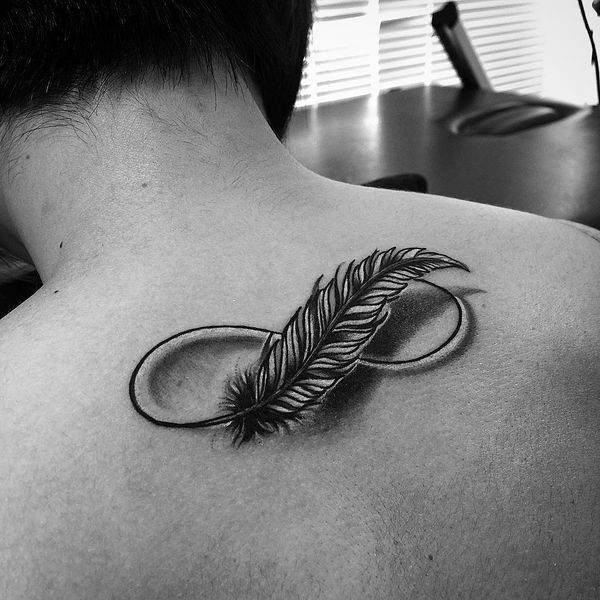 For many believers, especially Christians, feathers contain a positive meaning. This is because they believe that it’s a sign given by an angel or by their loved ones who have already gone to heaven. 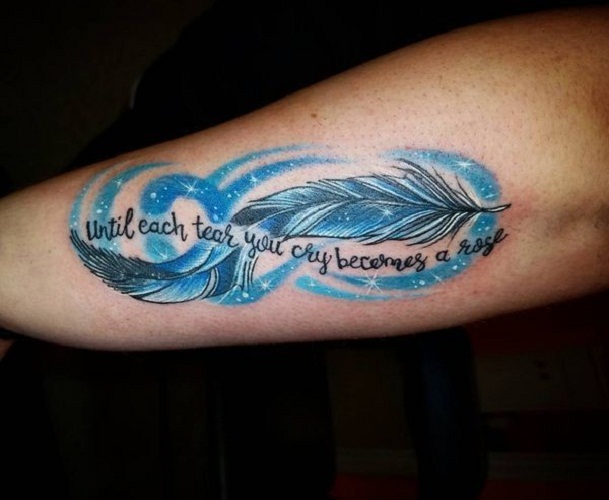 Thus, when they see feathers, especially in unexpected places or situations, many people feel uplifted because they know that an angel or their deceased loved one is just around the corner, guiding them. 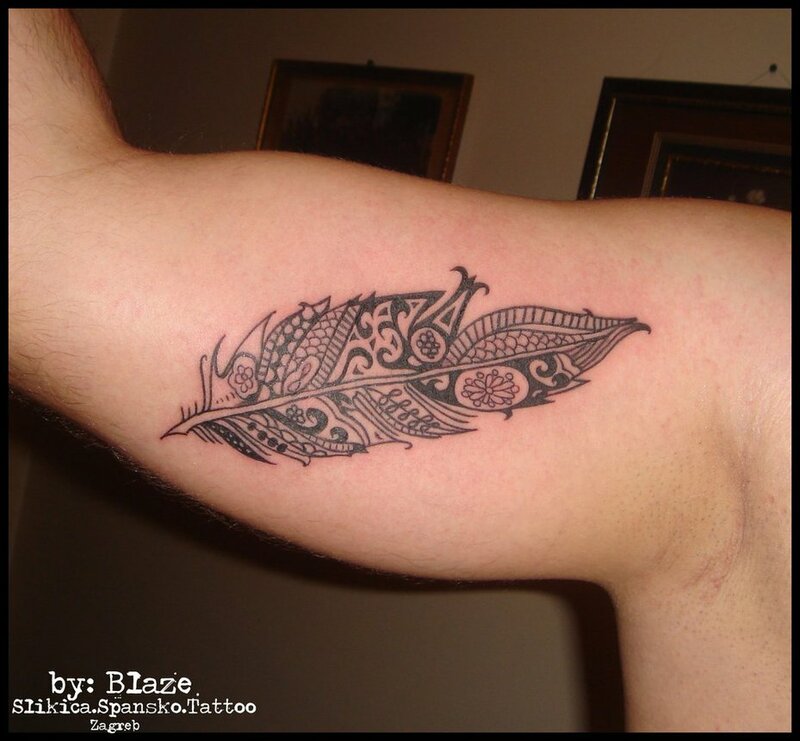 Additionally, just like the Celtic cross symbols, many religious groups associate feathers with divinity as well. This is probably because Christians believe that angels exist and that they depict the with wings with think feathers. 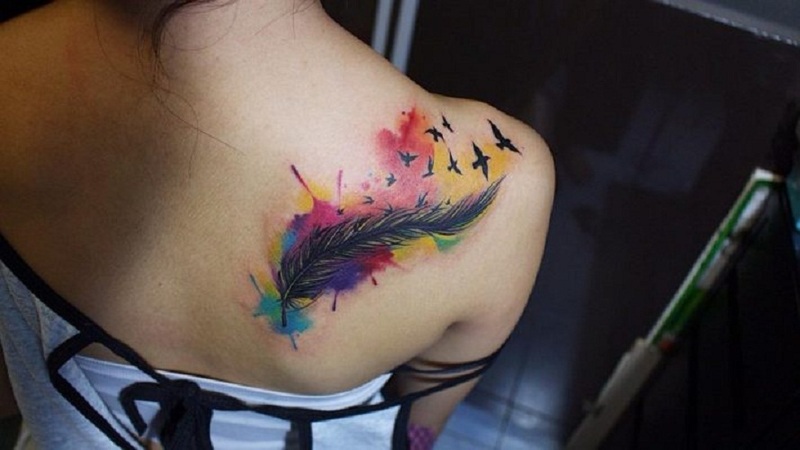 Moreover, in the Christian Bible, feathers represent God’s protection and loving care. These are described in the book of Psalms and Deuteronomy. 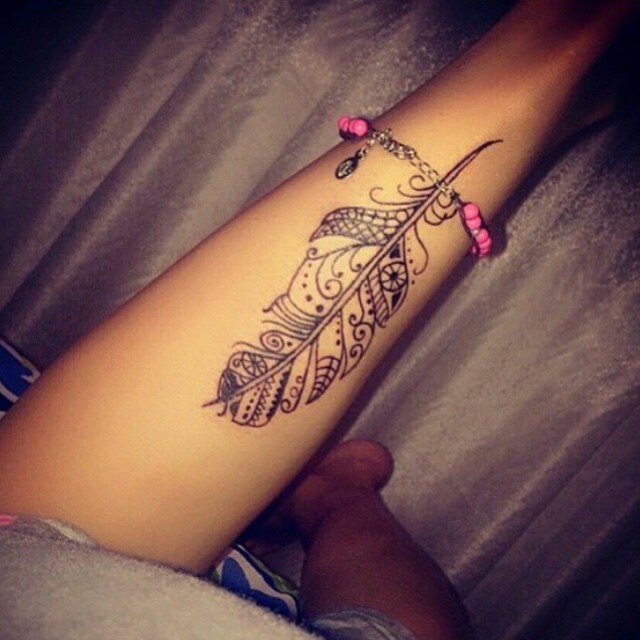 Various cultures have their own meanings of feather symbols too. 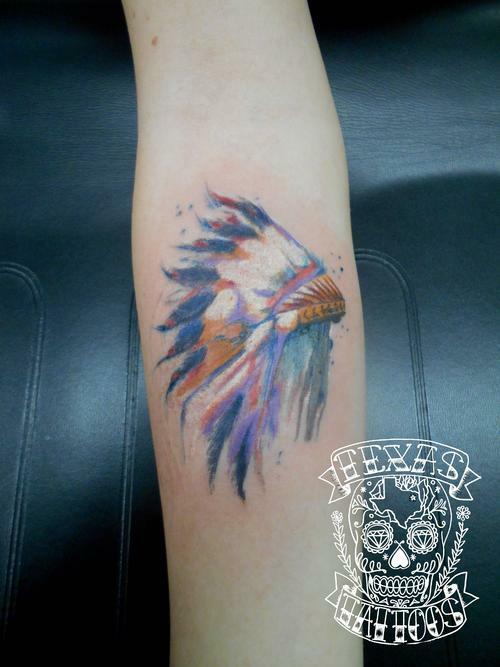 In Native American culture, for instance, feathers play a very big role. They use in sacred ceremonies, clothing, tools, pieces of jewelry, charms, and even weapons. Their myths also tell stories that include positive representations of feathers. Feathers also play a part in the Iroquois tribe. They even have a dance called the “Great Feather Dance” that they use to thank the deities for blessing them with the things they have now. Dancers adorn themselves with outfits filled with feathers because they believe that feathers have a connection to gods. 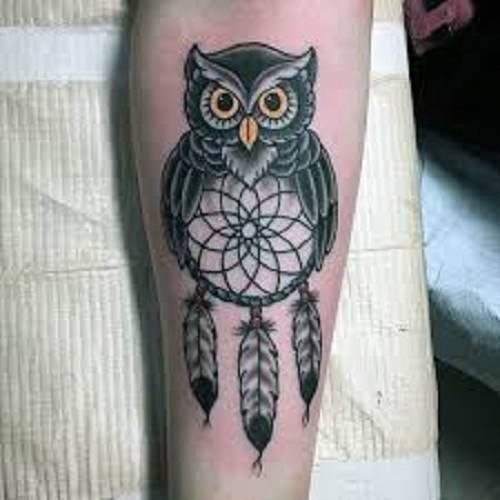 Additionally, they consider feathers as gifts from heaven and that it carries the power of deities. Feathers are well-known in ancient Egypt too. For Egyptians, they believe that feathers are a symbol of one of Ma’at, their goddess of justice, truth, and order. Ancient Egyptians often depicted her wearing an ostrich’s feather in her head. Moreover, ancient Egyptians also believe that a person dies, his heart will be weighed against the feather of Ma’at. If the person’s heart weighed more than Ma’at’s feather, it means that the heart is filled with sin. Therefore, he wouldn’t be allowed to enter the afterlife. 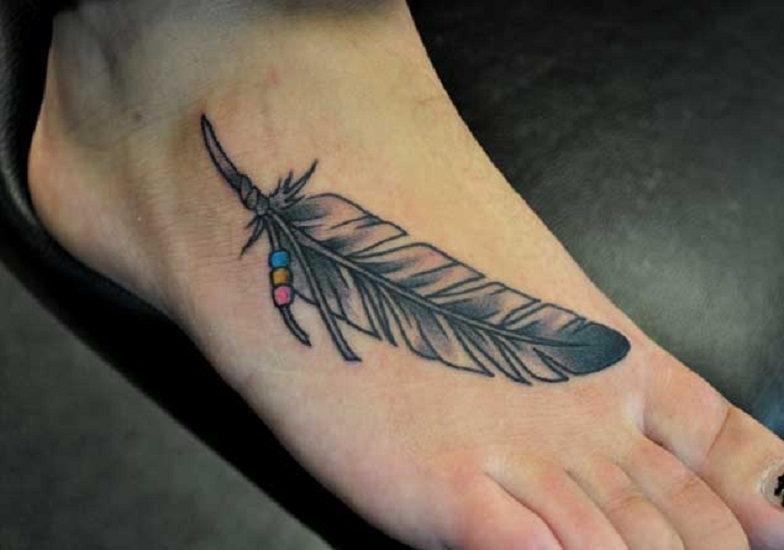 Aside from its representation based on different beliefs and culture, a feather’s meaning also changes depending on its color. 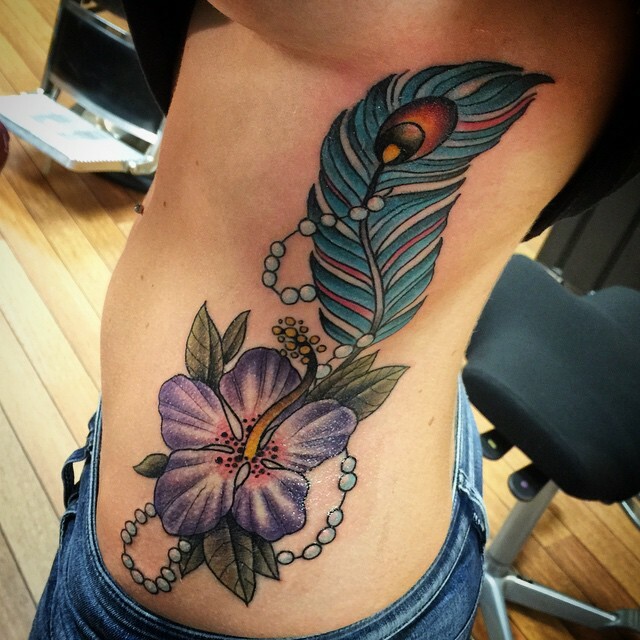 If you are considering a feather tattoo, you might want to take a look at its colors’ meanings. 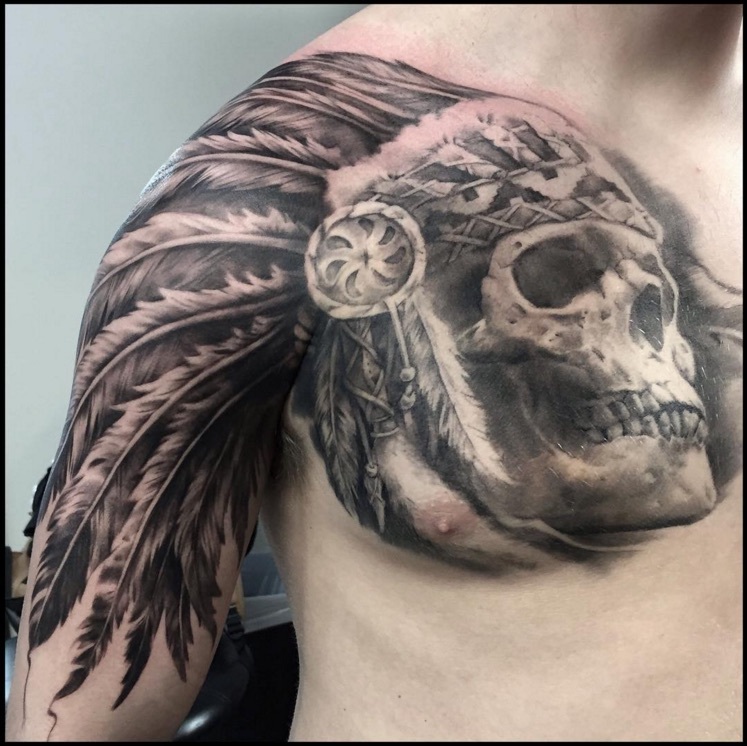 In this way, you can find more ways to express what you’re trying to say with such body art. 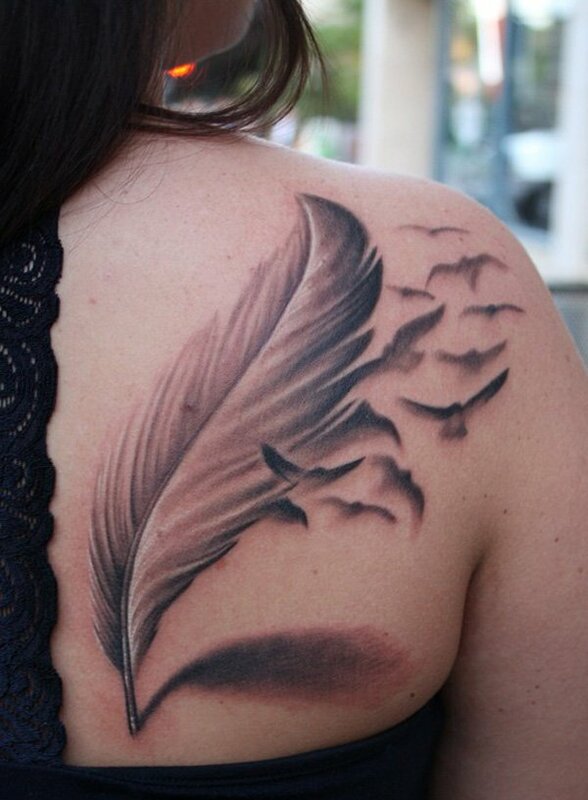 Feather tattoos in black ink are believed to be a symbol of protection from your guardian angel. 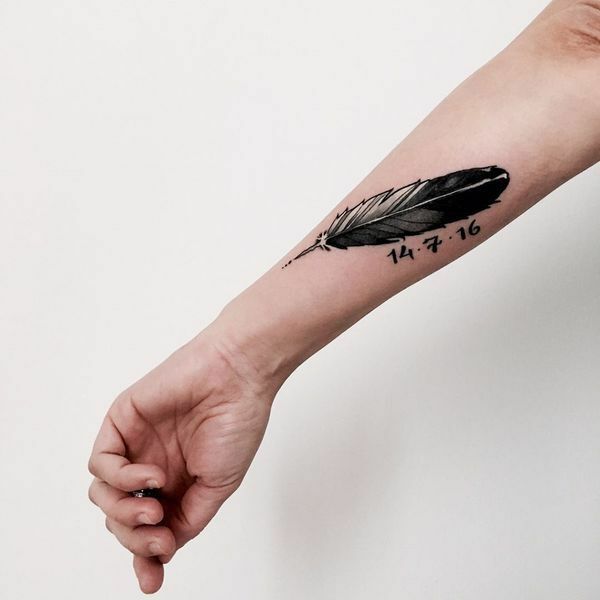 While many people tend to associate black with negative connotations, black feathers can serve as a reminder that your guardian angels are always with you to protect and deflect any negative energy. The color white is a classic color that’s often associated with purity or even spiritual belief. 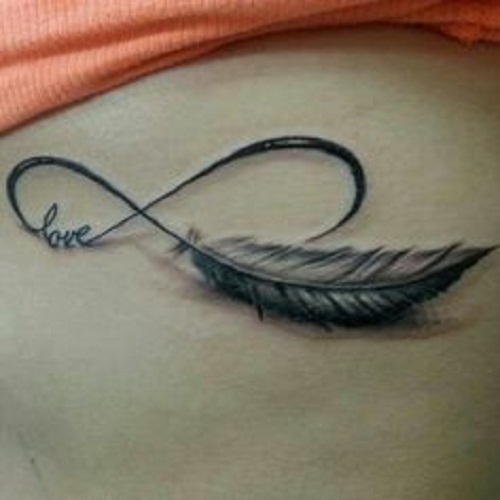 If you want to honor someone you love who has already passed away, you can have your feather tattoo in white. People relate pink as the color of an unconditional love. 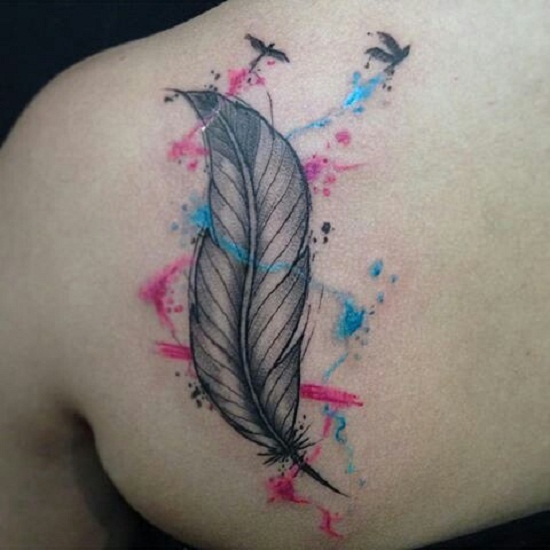 Thus, if you want a feather tattoo to honor your parents or your partner in life, color it with pink to represent your love for each other. Furthermore, pink feathers symbolize a kind of love that has the power to heal wounds and overcome challenges. 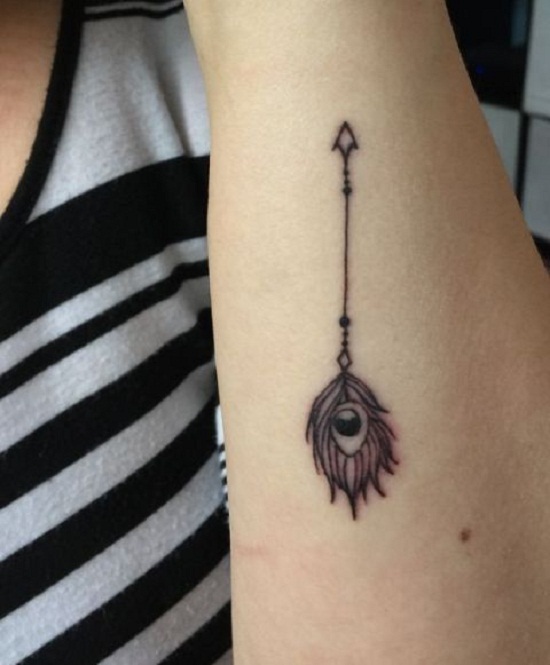 Thus, pink feather tattoos can serve as a reminder that love might answer your problems too. Generally, the color red represents courage and power. But it can signify energy, passion, vitality, and strength too. 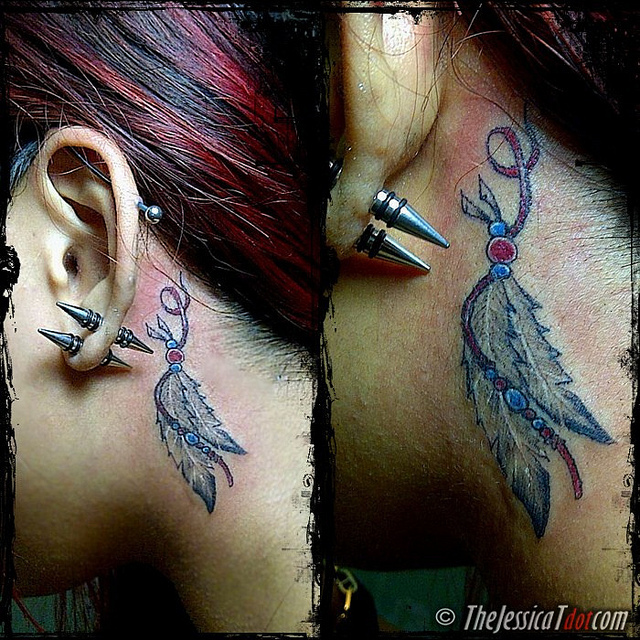 If you want to show your strengths through your body art, go for a red feather tattoo. 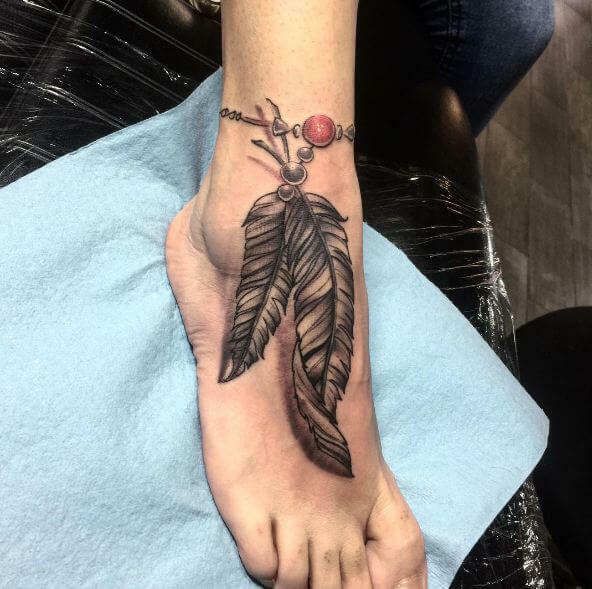 You can use a red feather piece to represent the strength you gained after facing a big challenge in life as well. Orange serves as a symbol of emotional balance. harmony, creativity, and intuition. It’s also a good representation of your emotions. 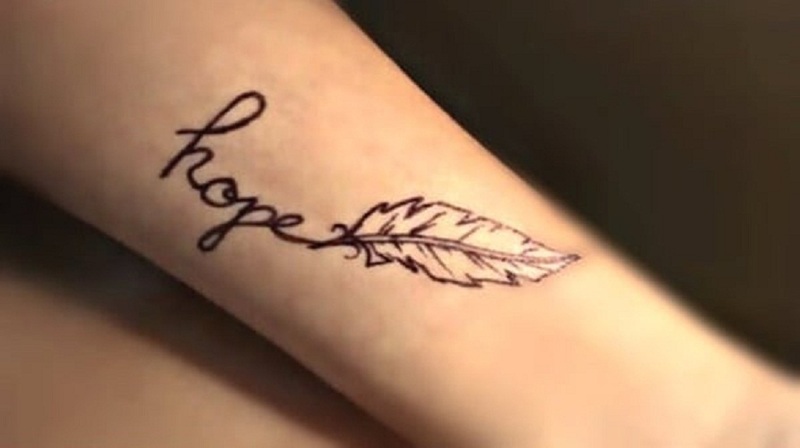 If you want to show your creativity while expressing your emotions, orange ink feather tattoos are a good idea. You’ll surely always be reminded to have more spontaneity in life. Yellow is one happy color. It’s full optimism as well as confidence and it will definitely make you feel good even just by looking at it. 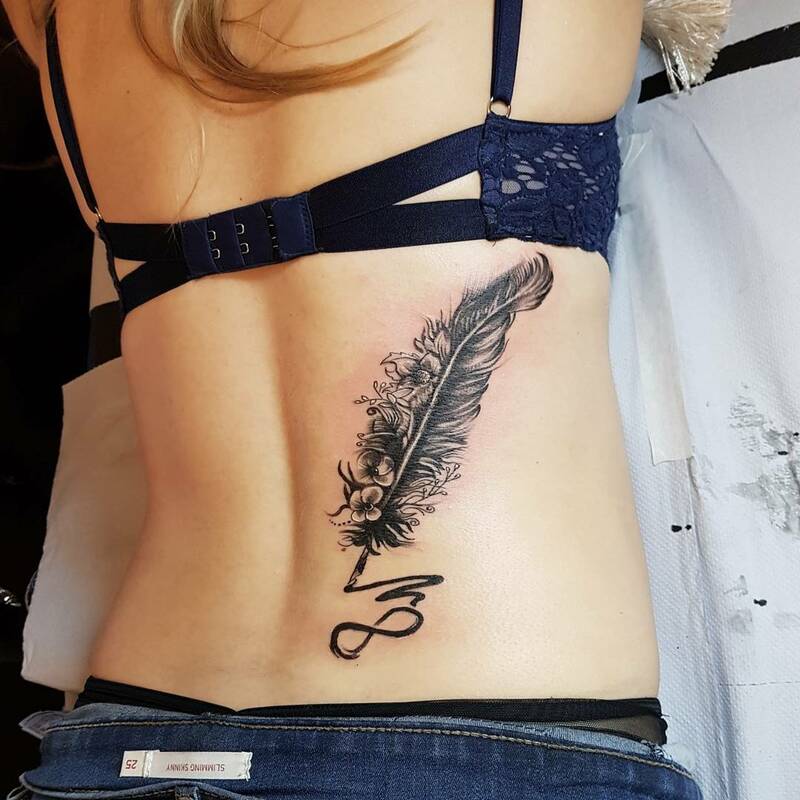 If you want to be reminded of staying light-hearted and if you want to keep a positive attitude in life, yellow ink feather tattoos are the one you need. Green feathers represent prosperity, growth, abundance, and fortune. It is also a symbol of peace and balance. 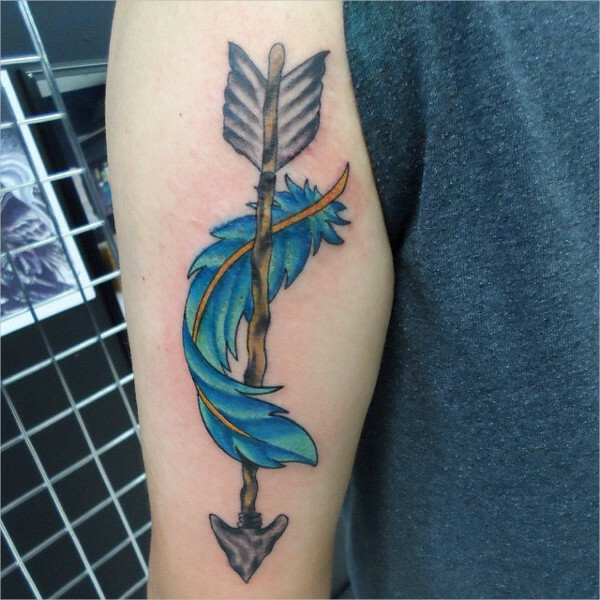 Blue feathers can express yourself as well as your trust in other people. 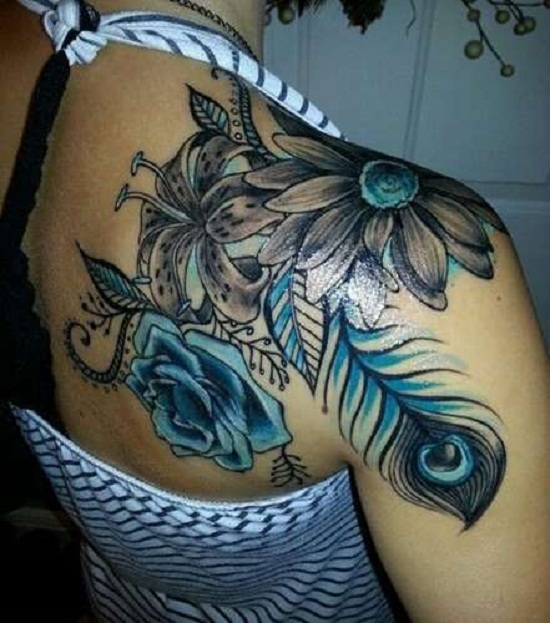 If you want a color that will suit a matching feather tattoo with your loved one, blue is the color you should opt for. 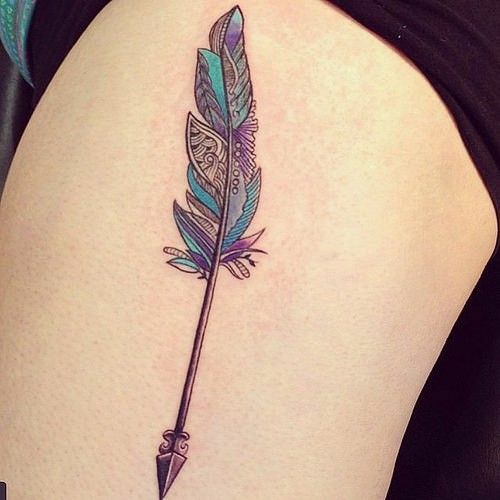 Many feather tattoos often have this color as it’s a color that represents neutrality. It is also a color that will always remind you to step back and think of the things or situations in your life that may help you resolve a problem. 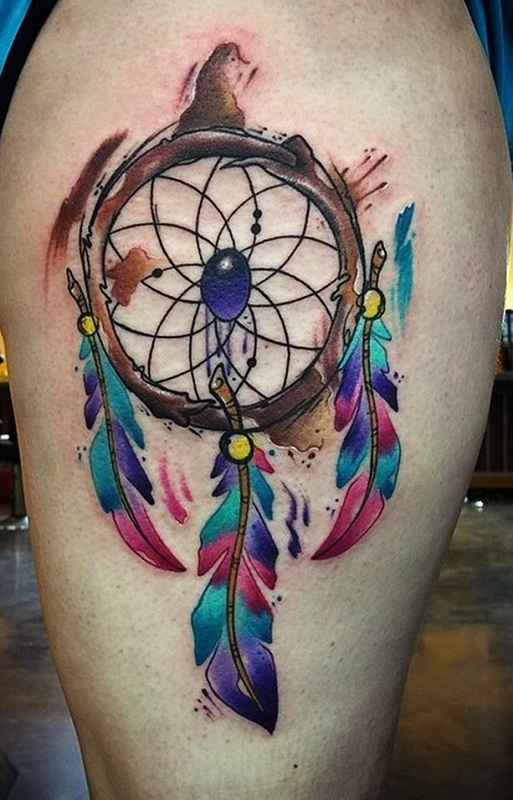 You can opt for a multicolored feather tattoo too. 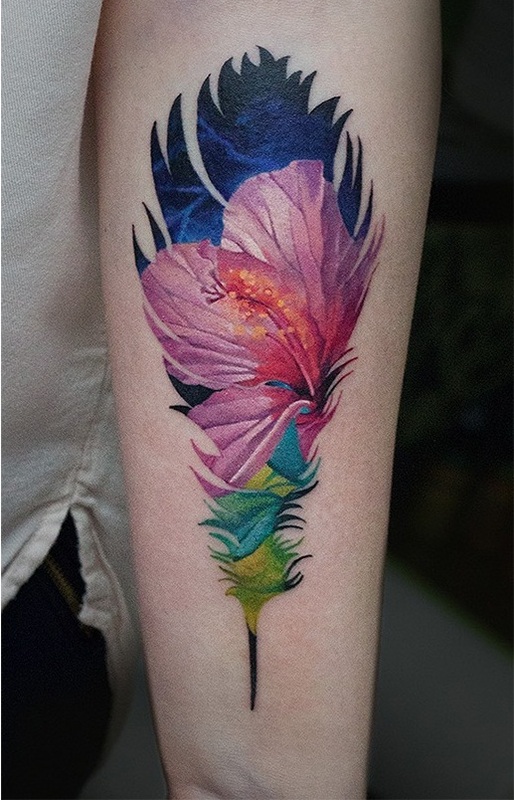 With feathers having multiple colors, it can represent your regeneration or even your connection with the angels. 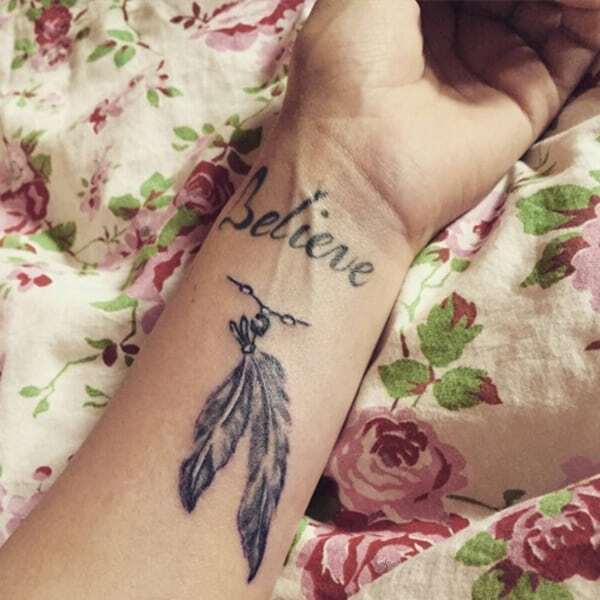 Again, the feather tattoo is already meaningful. But if you want to give it more significance, you can pair it up with other symbols. Here are some ideas that you can use too. 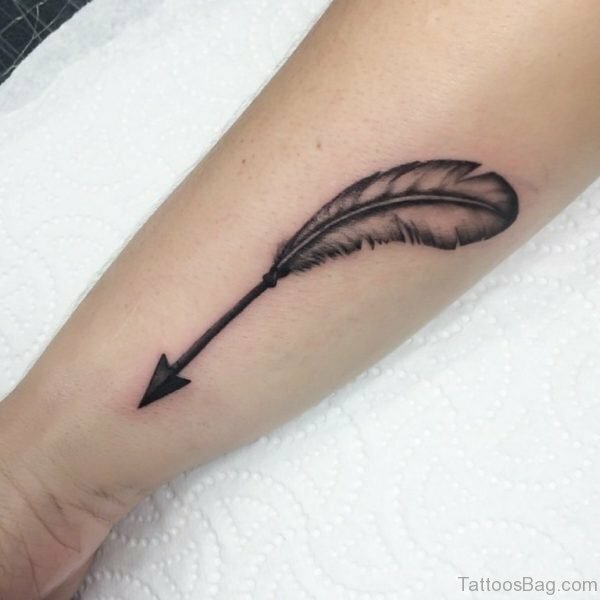 A feather on an arrow tattoo means independence, liberty, and triumph. 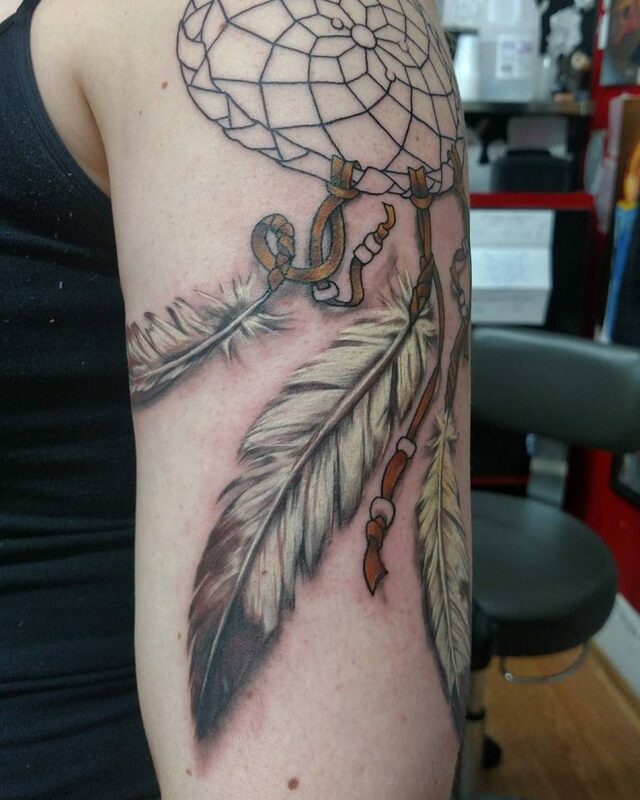 Dreamcatchers and feathers often complement each other. This is because people associate feathers with protection. 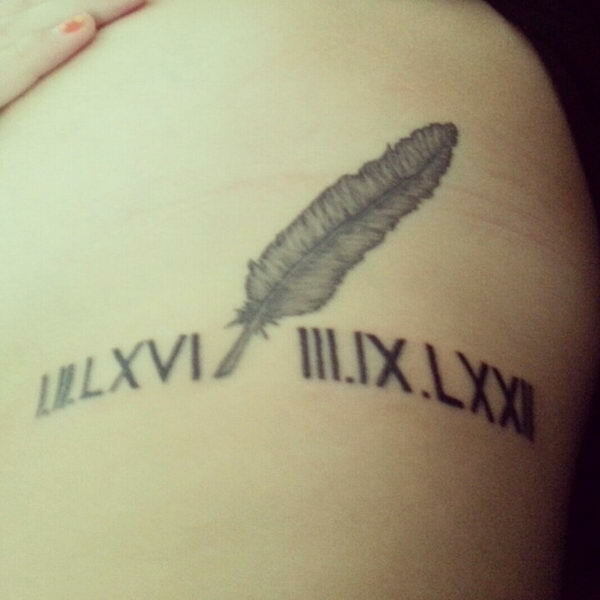 Feathers with names will always let you remember a loved one. 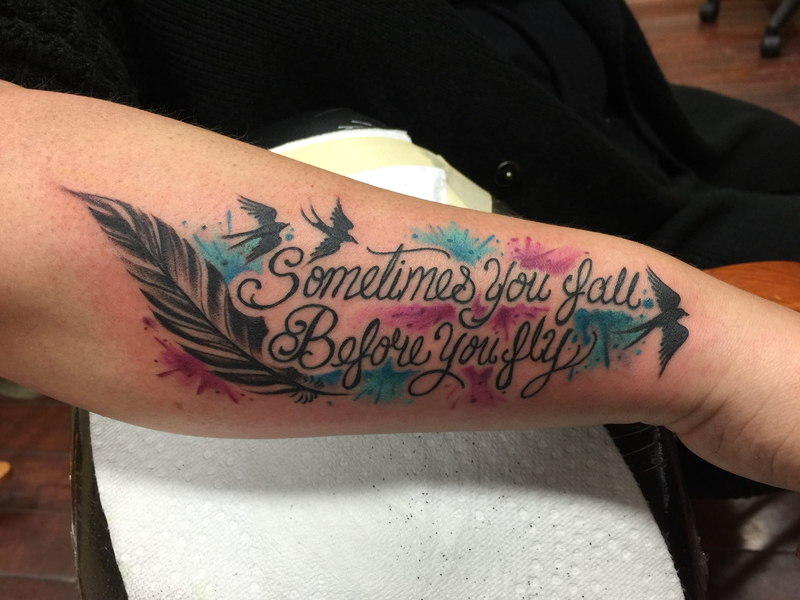 On the other hand, feather tattoos will always inspire you to do better every day. 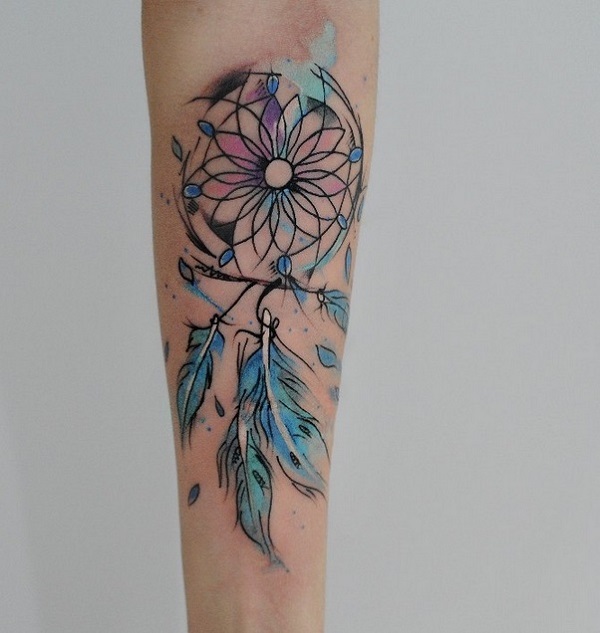 Feather tattoos with flowers will always look beautiful. 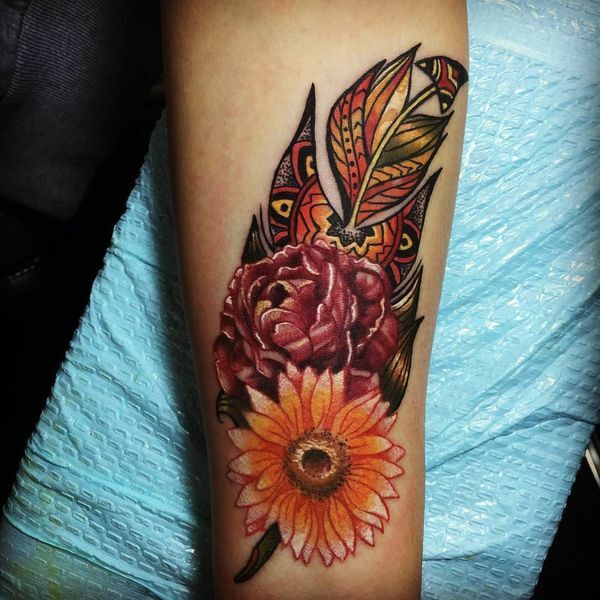 Apart from that, it can symbolize femininity and many more meanings depending on the flower variation. 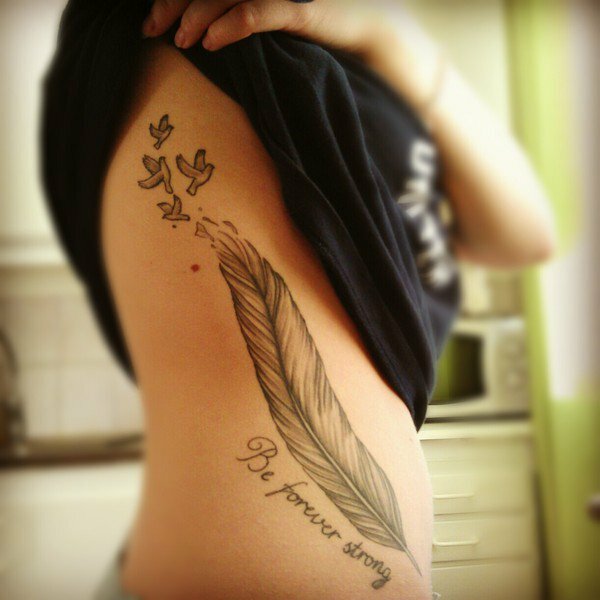 Both feathers are often associated with freedom, truth, and courage. People also believe that they hold the meaning of spiritual protection. 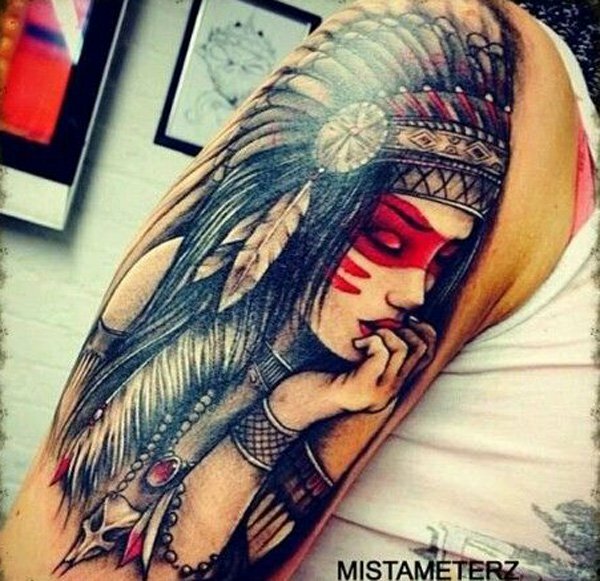 Feathers are also used in Native American headdresses. 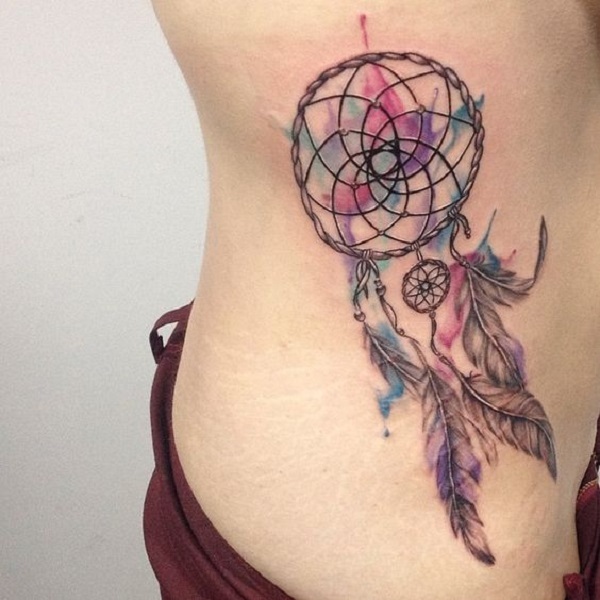 When used as a tattoo it can represent strength and bravery. 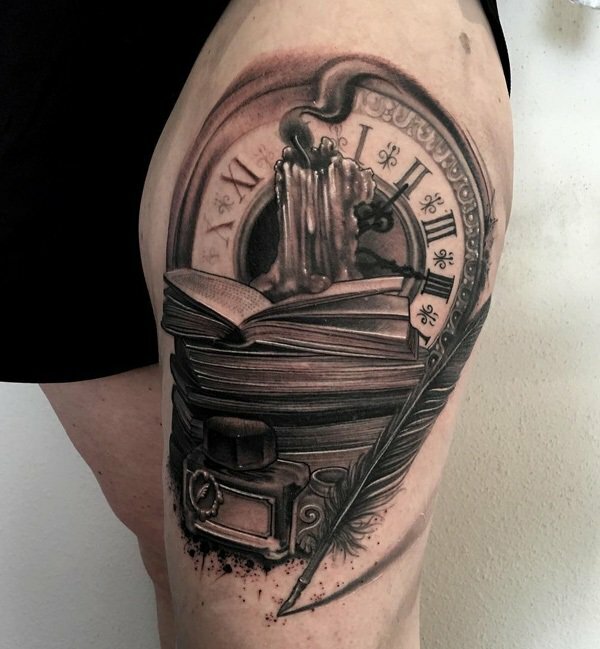 Clock represents time. 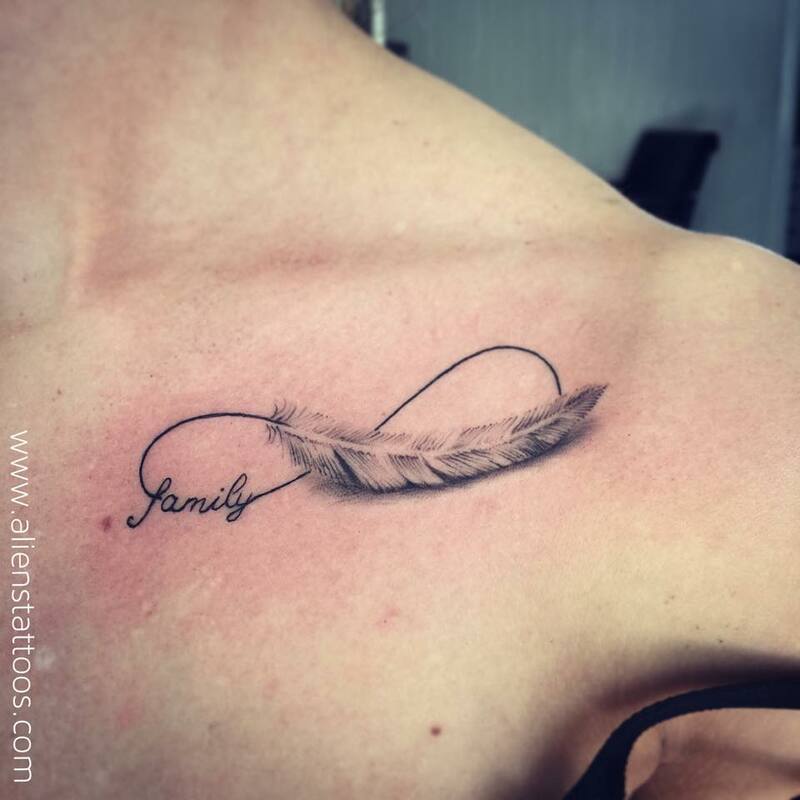 Pair it with a feather tattoo and it could mean timeless trust, protection, or even courage. 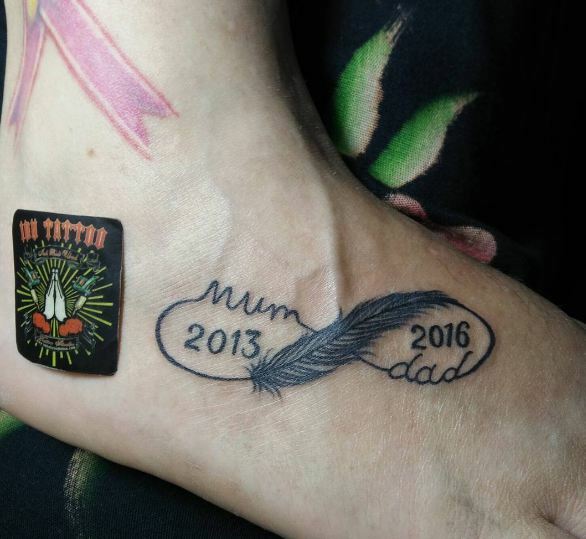 Adding dates to your tattoos can always make you remember a very memorable day. It can also be used to honor a deceased loved one. Apparently, beads don’t contain any significant meaning when it’s paired with feathers. 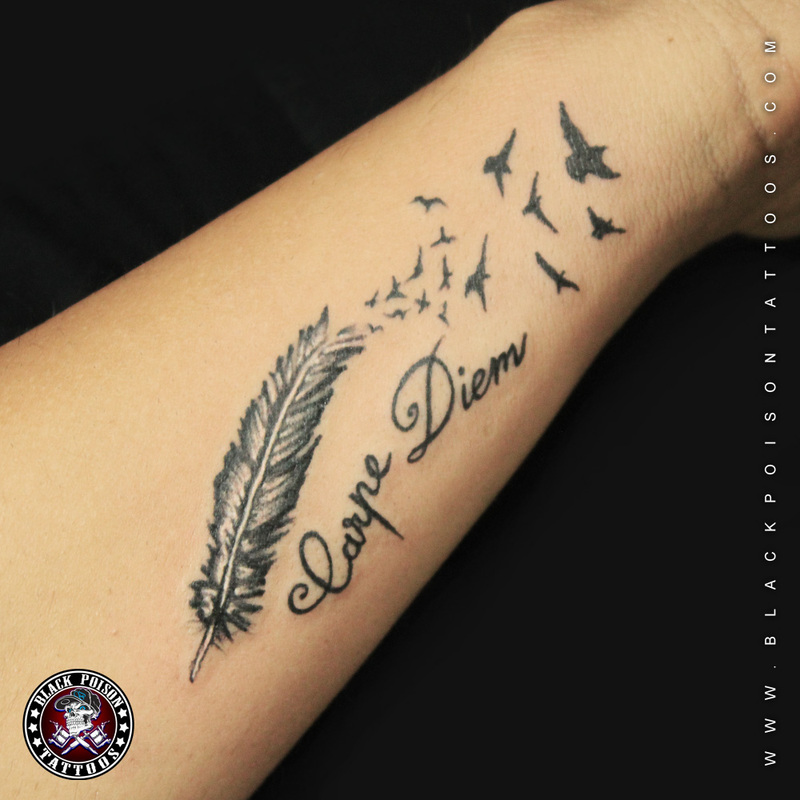 Even so, it will more sophistication to your feather tattoo. For starters, this simple twist and loop symbol represents eternity. 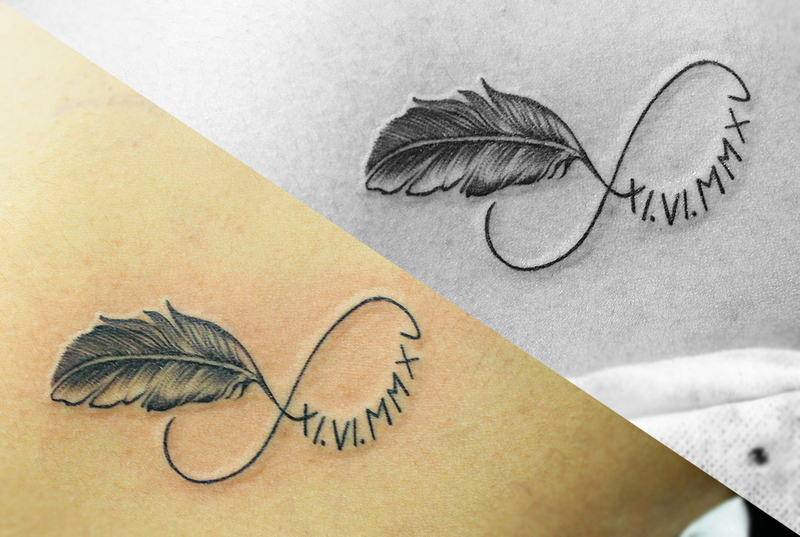 When it’s paired with other symbols like a feather, it means that whatever the symbol represents will last forever. 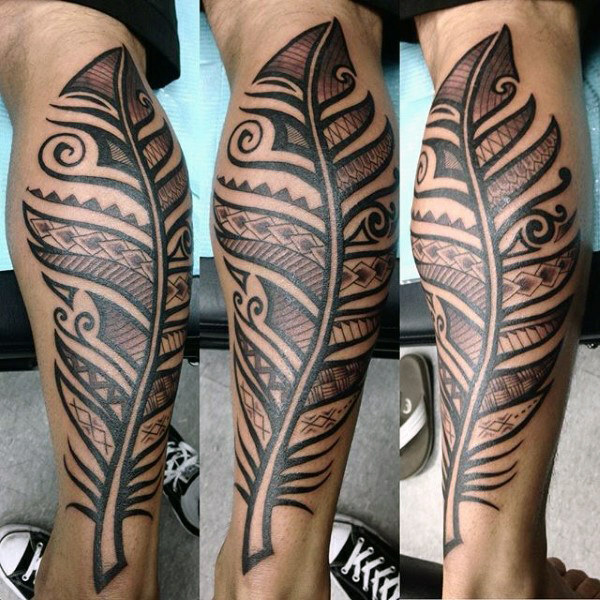 Basically, feather tattoos with tribal design drew inspiration from traditional tattoo styles. 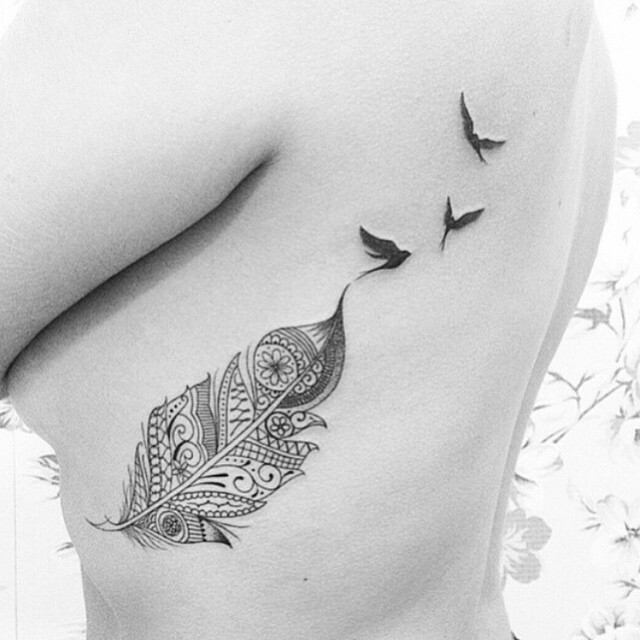 Such tattoos feature intricate repetitive and geometrical strokes and will add more spice to your feather tattoo. 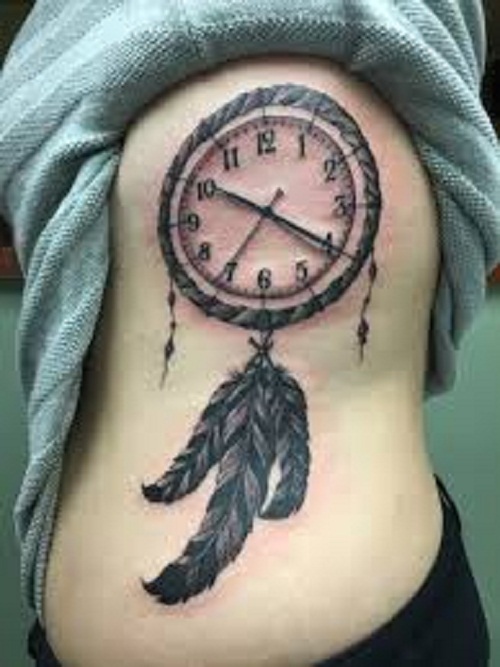 But these symbols are just a few of the countless designs that you can pair with your feather tattoo. 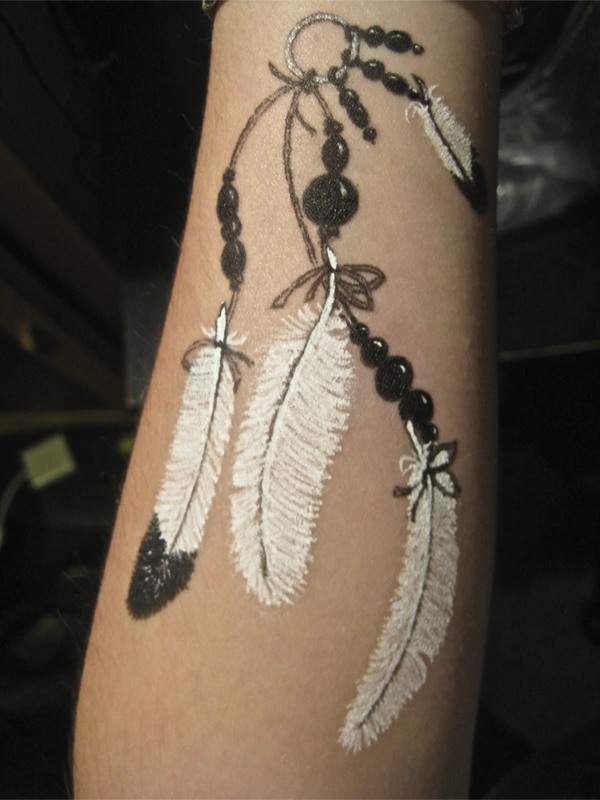 Feather tattoos are very flexible and can be paired up with almost any other design. It will still be as meaningful and beautiful as it is. Which of these designs impressed you the most?